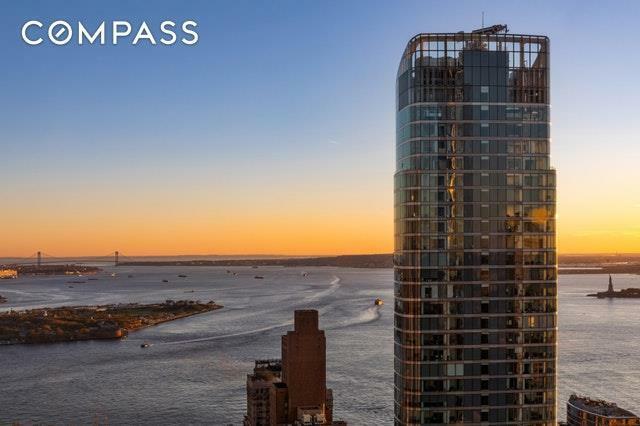 Located on the thirtieth floor of the building, this smartly outfitted one bedroom boasts unobstructed northern views of New Yorks most iconic buildings. 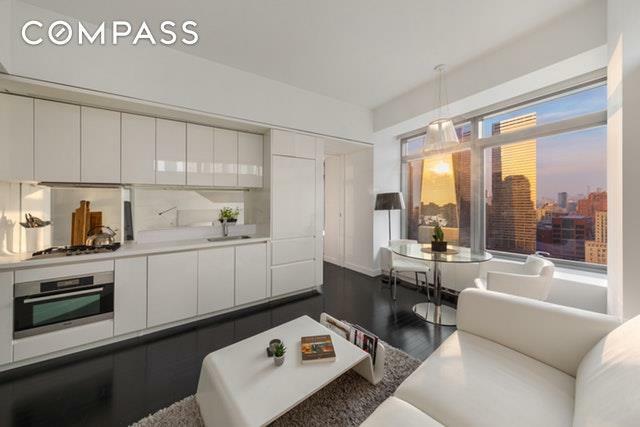 The interior is seamlessly designed and crafted for the ultimate in modern living, featuring a sleek white lacquer kitchen with concealed stainless-steel Miele appliances. Interiors include ebony stained maple wood floors, an oversized bathroom featuring Italian crocodile-textured ceramic tiling and towel warmer, and an in-unit washer/dryer.The W New York Downtown Hotel & Residences is the first globally branded luxury hotel and residences of its size and scale in downtown New York. The Residences at the W New York Downtown offers a world-class lifestyle complete with all the perks of a being a guest of W Hotels. The buildings resident amenities include privileged insider access to FIT state-of-the-art fitness facility, preferred dining reservations, seating and in-residence dining at the hotels signature BLT Bar. 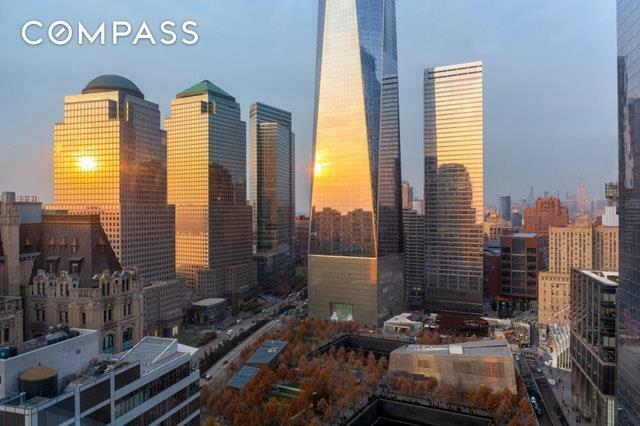 Additionally, residents have exclusive access to a digital lounge with large flat screens, video game systems and wireless Internet, a media screening room, cafe, gym and a private residents-only rooftop terrace overlooking New York City.Located in the heart of the new downtown, the W is a stone's throw away from Freedom Tower, Battery Park, the Financial District and Tribeca, with access to every train line and world-class food, shopping, and parks. Listing courtesy of Ian Slater of Compass.